Nothing says “I love you” better than chocolate. 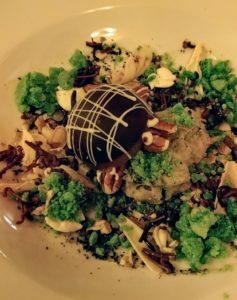 And if the way to his or her heart is through a sweet tooth, the Distinctive Inns of New England (DINE) have a variety of chocolate filled experiences that just might do the trick throughout February. Since February is for lovers, each of the 11 DINE inns offer up heaping helpings of intimacy in their romantic choco-filled getaways. We’re rolling out the cocoa carpet with chocolate-filled amenities throughout DINE country in February. Here are a few bucket list chocolate filled getaways we’ve hand-picked and placed in heart shaped boxes just for your consideration. All for $795 per person. What a great idea for a winter getaway! It’s so popular that space is filling fast. Please register by February 1, 2019 to insure your spot. Learn more and register online at historic-deerfield.org. a $75 dinner gift certificate to one of the innkeepers several favorite restaurants. A romantic private one-hour Horse Drawn Carriage or Sleigh Ride. Add this package to any room choice for $390 in addition to room costs. Book a 3 night stay at the Captain Jefferds Inn between February 13th and Feb. 18th, 2019 and you’ll be treated to a complimentary half-bottle of sparkling wine, a tray of assorted Valentine’s Day treats (heart shaped cookies & chocolate covered strawberries) and a $50 voucher towards a future stay in the next year. It’s the inn’s way of saying thank you to those who love inns and the sweet treats of Valentine’s Day. That’s close to a $100 value free with your three day stay at Captain Jefferds Inn. A Chesterfield Inn mug with all of the fixings for Burdick’s sinfully good hot chocolate. Choose to stay in any room at Chesterfield Inn and add $95 to your room costs duri ng your stay. 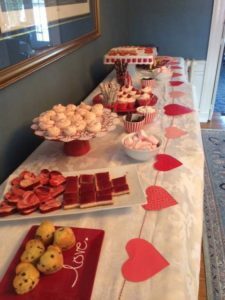 Include Saturday, February 16, 2019 in your getaway to the Harbor Light Inn in Marblehead, MA and you’ll be treated to a mouth-watering post-Valentine’s Day complimentary dessert buffet. All treats are homemade and we are sure there’ll be a number of chocolate filled goodies being offered. Pair that with a Mudslide or Baileys on the Rocks from the inn’s tavern and you’ve got the perfect sweet romantic night! Stay at any of the DINE inns and your innkeepers are happy to add-on chocolates, flowers or a bottle of bubbly for your celebration vacation when you ask ahead of time. 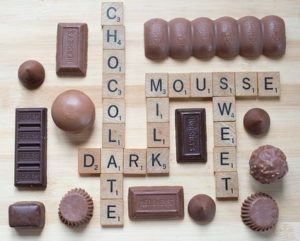 At the Manor on Golden Pond, room enhancements are listed on the website and include great options for chocolate lovers. Choose from a dozen dark chocolate covered strawberries for $28.50 per dozen or a box of assorted chocolates from local chocolatier Kellerhaus Chocolates for $20.00. Simply request these options along with others including fruit trays, wine or flowers, and they’ll be awaiting your arrival in your room. 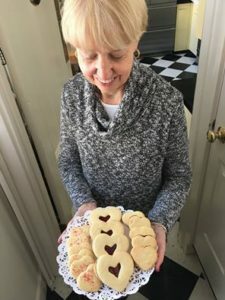 Any stay at the Rabbit Hill Inn is a delicious combination of flavors and hospitality. For true chocoholics, there’s one dessert on the menu that’s not only sure to please but will also entertain you. Be sure to save room for the Turtle Soup, featuring a whimsical pecan, chocolate turtle in his natural edible environs. Add a large helping of chocolatey soup to surround him, and you’re sure to have your cocoa cravings cured for weeks to come! Of course, every DINE inn stay promises to be filled with sweet memories but schedule yours in February and you’ll find a heaping helping of chocolate too. This entry was posted in Chesterfield Inn, culinary travel, Deerfield Inn, Distinctive Inns of New England, Harbor Light Inn, Inn at Harbor Hill Marina, Manor On Golden Pond, Rabbit Hill Inn, Romantic Getaway, Valentines day getaway and tagged chocolate at New England inns, chocolate experiences, chocolate experiences at New England inns, Chocolate getaways, chocolate inn packages, chocolate packages, New England B&B, New England inn Valentine's Day packages, Valentine's Day ideas, Valentine's Day packages, Valentine's Day packages at New England Inn, Valentines ideas at inns by DINE Blogger. Bookmark the permalink.